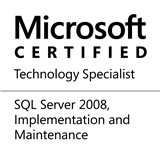 Before SQL Server 2008, there was no mechanism available within SQL Server to assign different resource “quota” to different components in order to better govern the resource utilization. Microsoft SQL Server 2008 introduced a new feature called “Resource Governor” which allows administrators to regulate (or govern) the CPU and memory consumption patterns for the given SQL Server instance. For a brief introduction to the resource governor, you can get a quick overview from Pinal Dave, a.k.a SQLAuthority (B|T) at SqlAuthority.com or the white-paper from Microsoft. The above are not only similar sounding, but also appear to be similar in functionality as well (why this would be the case, I do not know – it looks like a bug to me). This entry was posted in #SQLServer, Blog, Imported from BeyondRelational and tagged #SQLServer on February 28, 2013 by nakulvachhrajani.